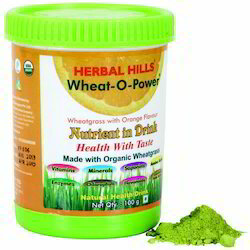 We are wholesale distributors, whole sellers and exporters of wheat grass powder. 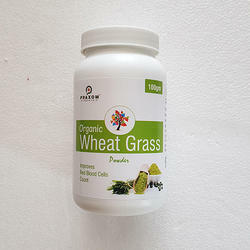 Being a most prominent organization, we are engaged in offering a wide range of Wheat Grass Leaves Powder. - Primarily used as a concentrated source of nutrients. - It contains vitamin A, vitamin C, and vitamin E, iron, calcium, magnesium, and amino acids. To cater the variegated needs of our esteemed customers, we are highly engaged in offering a wide array of Wheat Grass Powder. We are one of the growers of young Wheatgrass and grow it in virgin land in a very natural and scientific way. Wheatgrass powder is a popular green whole food which bursts with a whole array of essential nutrients including vitamins, minerals, enzymes and numerous other compounds. As an affluent name in this domain, we hold expertise in providing high quality Wheatgrass Powder.